I just failed at my first batch "crockpot" soap and was unsure why. I think your post explains it a little better. The instructions we used paid no attention to temperatures. We did not let the lye/water mixture cool, nor did we wrap our molds to retain heat. We ended up with an oily, gooey mess that burned our skin. Yikes! We will try again with your instructions. Thanks! This is a very helpful post Rhonda, thank you. I am one of those people who is nervous about making soap because of the lye, but I really think I should just give it a try, because I like to use only natural soap, and I don't want to spend $5 a bar any more! I've never made crockpot soap. Try this method, it's easy. Laura, just do it. I'm sure that with care, you'll produce a fine batch. Carole, I never add fragrance but I believe you add it at trace - right at the end. You also need to add a lot of essential oil. Something like two tablespoons, I've heard. I hope your first batch is a good one. I too was scared of the "fumes" warning . So my first batch of soap was made with the front and back door open plus every window in the house when we had a howling southerly blowing. All went well and I realised my over caution was for nothing. I shared my soap with my craft group who all loved it and so we made it at craft - so easy and such gentle soap. 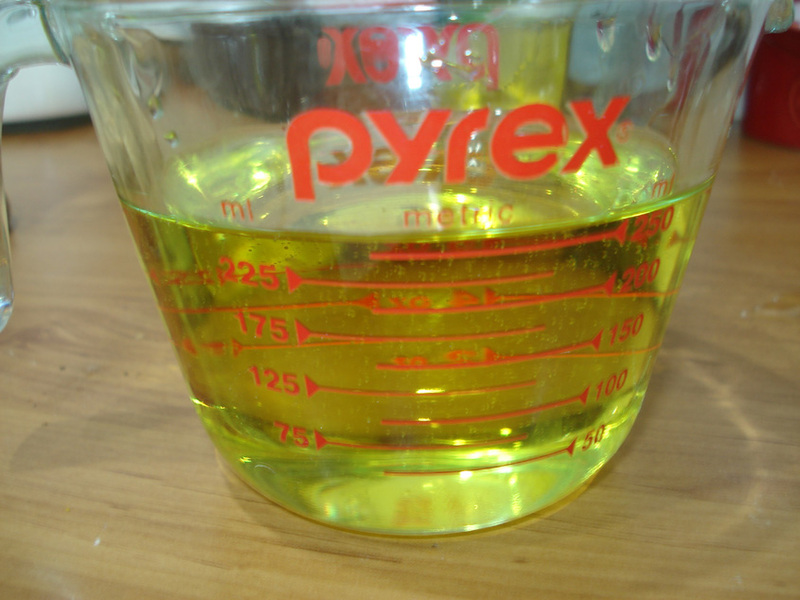 Now we are making the liquid laundry detergent using the soap. One lady lives in a very "communal" street and she has all the neighbours making soap as well. It's spreading like crazy - many people are going back to do it yourself with your help Rhonda. Does anyone know where I can get one ? I really want to learn to make soap but, like some other things I want to try, it'll have to wait until the kids are bigger. I'll definitely be back to read your post about how we've been scared away from the old homemakings skills. I wonder how many people who are scared away by the soap ingredients are okay with home canning? We do things all day long that are potentially dangerous. Clarien, I'm pleased the soap is working well for you. What you described Laura doing was making lye from wood ash. It's how many of our ancestors made soap. Thanks for this post. 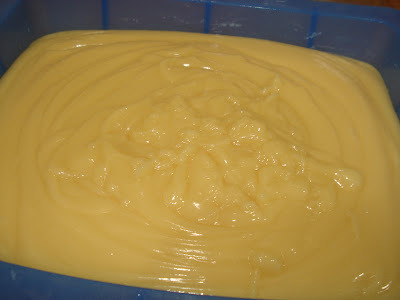 I have been wanting to try soap making for some time now and I just need to get up the nerve to do it one day. I am sure I will be following your steps very closely. I have been using the hand made type soap for at least two years now and really like it and the bars seem to last a very long time. Morning Rhonda, thanks for another great tutorial. I look forward to the first time I make soap, hopefully with a few friends. I love the idea of only having a thick cake of home made soap in the shower, instead of the 5 commerical bottles! I have made my own soap for years and I love it. I can be creative and make whatever I am in the mood for. Your post reminds me that its time to make more. This year I am going purely organic and making my own organic soap colour. Ive just started using my firt batch of soap (the Goats milk & honey recipe from the forum) and I love it! It was a little daunting at first, but once I started the process it was pretty straight forward and relatively simple. My skin is very grateful! the last couple of weeks I had been using a commercial soap - my soap was curing in the shed and I kept forgetting to grab another bar until I was already in the shower. This morning I finally remembered and it was like washing myself in a soothing moituriser - ahhhhhhhhh, yes I love my soap and I will definately be making more. Do you need a large work area when making the soap? I live in a small apartment and was just curious how much space I should properly allow. Also, what kind of thermometer did you use for taking the temperature of the caustic soda/water mix and the oils? Did you use the same thermometer or seperate ones? This is really interesting. 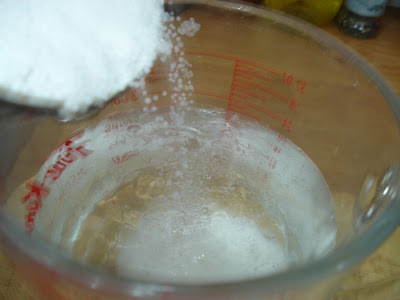 Add the bleach (acid, caustic soda) to the watta. This helps me remember what to do. It's important because the dangerous substance is heavier than water, and if added first can slide out and splash you, and offers a larger surface area for the exothermic reaction that will take place (this is especially true with a strong acid). 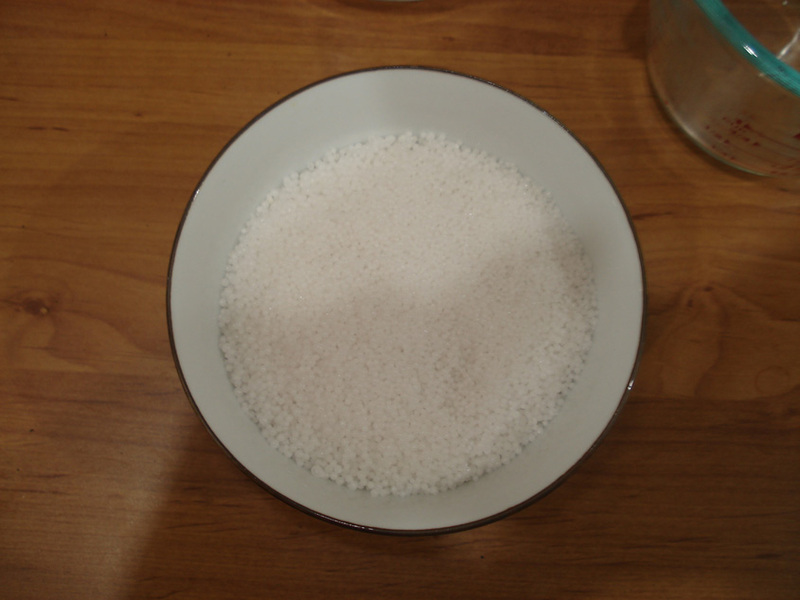 If you add it to the water, it sinks and there is less surface area for a reaction. I have gone through your tutorial from the past and said this year I was going to try it. I must admit the chemical reaction scares me, but I'm sure I will manage fine.However I seem to have real issues trying to find the ingredients that you use. I shall keep up the search. You are a real inspiration. I am really keen to try out some soap now that I have some free time ! just wondering if you know if you should be handling lye/caustic soda if youre pregnant ?? Im aware of the precautions and not to inhale the fumes.... ?? cheers ! p.s the pea and ham soup was fantastic ! 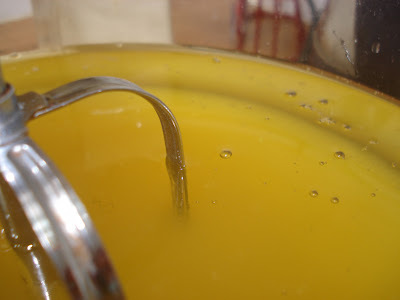 This is a great post and it's good to hear that you don't keep your soap making utensils separate, as it can be expensive doubling up on everything. LOL! That's exactly the point I am at, being too scared to have a go. I've made the re-batched soap a couple of times and that was fun, but I would like to try the 'proper' soap-making one day. Hi Rhonda! 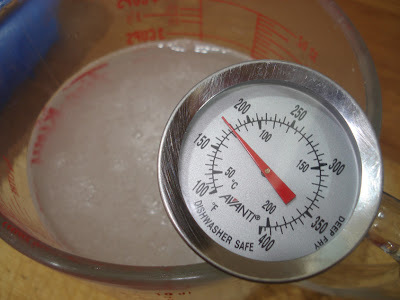 Do you use the same mixer beaters and thermometer, bowls, etc that you later use for food? Or do you have soap making supplies that you use only for soap? I hope to try this soon! I am hoping to make soap soon. I make many of our own products now and I get such a lovely feeling when I'm done...I can't describe it. Something like confidence...security maybe? Anyways, I just have to convince DH to let me try. He says it's not worth it because we can get bar soap so much cheaper. We'll see! There are a few blogs I follow that have different naturally scented soaps- lavender, rosehips, orange zest and all that tricky stuff. It looks so fun! PS Where is it possible to buy coconut oil? I found it in a grocery store for $10.00 in a little wee container. I was hoping for a bigger size with a smaller price. 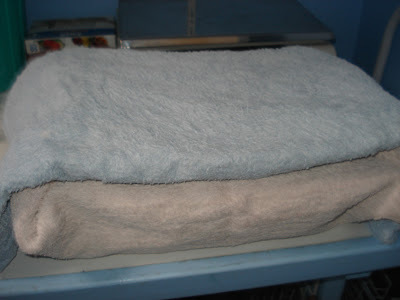 I really want to make soap, but I have some reservations because I am pregnant and wondered if you know if it is unsafe because of the fumes? Kalli, I've made this soap when pregnant with no worries. I open the windows and have the rangehood fan on to be safe, but the fumes have never been overly strong anyway. I am slowly, but surely getting up the courage to try this! I would love to make this part of our every day living. Thanks for the great post! I used to make soap with my mom. Very enjoyable. The only thing I have against it is that I have a small kitchen and 2 small children. And plenty of other things I should be doing... One day I will take up this venture again. Thanks for the guidance.Sure it is dangerous and hard to do but it is worth when you have the soap home made and pure and organic. I am definitely going to try this! It is just making the time for it along with all the other 101 projects. Since we won't be moving anytime soon I have been taking everything out of pots planting, landscaping, etc.. All of this takes time, and I have to remind myself that with my first house when we moved from it to here I was there 18 years! I just can't get it done fast enough!! The one good thing is that hubby set up an outside stove for me so I think I'll be doing the soap making out there. It may be a little while, but I'll do it!! Now I'm going to check out your shampoo as I have learned store bought has engine degreaser in it! Thanks again for your soap instructions, Rhonda. I made my first soap last week and love it. Sadly, it has to cure for 2 months! I'd like to get to the point of selling small batches of soap at market, so i need a good recipe that doesn't cure so long and hopefully has easily attainable ingredients. I use all my own homegrown botanicals, but need to find good oils that are good for hte skin, a little more lather than glycerine. do you have any other recipes to share? May I suggest a couple of things. I make my jug of lye up in the kitchen sink. I figure that it can't be knocked if it's there. Laying out newspaper makes cleanup quick and easy. I always feed my children (youngest 4) before I soap and tell them they won't be able to enter the kitchen until I'm finished. They understand this and there's never been a problem. Go for it! Follow instructions and you'll be fine. I have a question ~ How do you get the designs on your soap? Is this in the mold itself or is it a stamp? I really enjoy your site and we have been enjoying living the simple life as well.